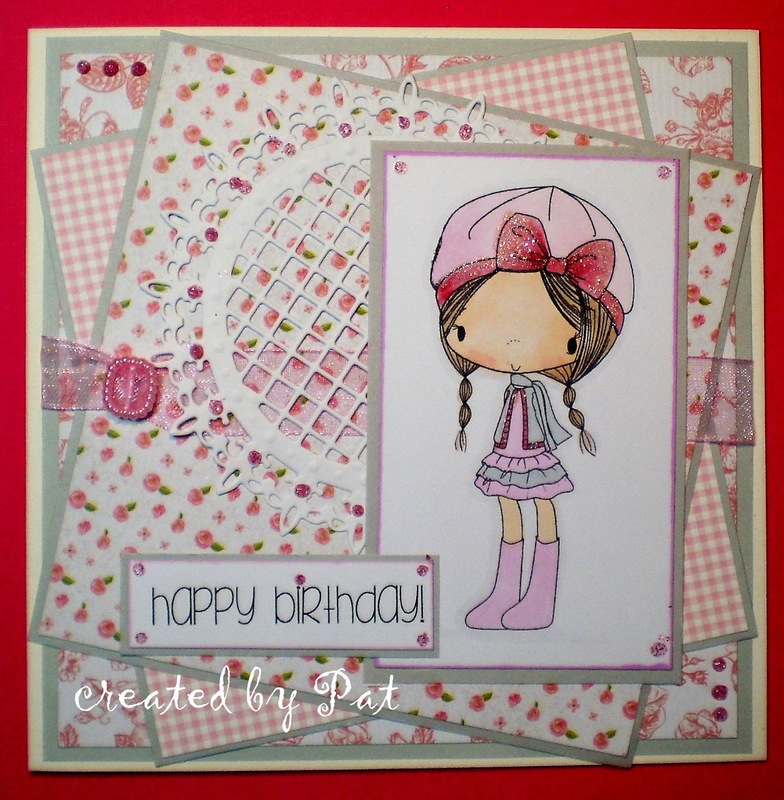 It's a really sweet and girly card Pat, the soft pinks are perfect for the theme. Just seen you have linked up at Allsorts Pat so just popped back to thank you (don't forget to add the link to your post so you are eligible for the prize draw). Ignore the last comment Pat, just relised it's the card below for Allsorts. I love your choice of papers and card design with this little cutie, Pat. It's bitterly cold here - down to minus 3 - but the sky is blue - so looks nice...!!! Hope you'll see some sunshine soon. This is really pretty Pat, such a sweet image and lovely papers - a beautiful card. Sweet image, lovely colours and design. Wishing you and your family all the very best for 2017...hope it's a great year for you! So cute! I love the sparkle and all your layered patterned papers.